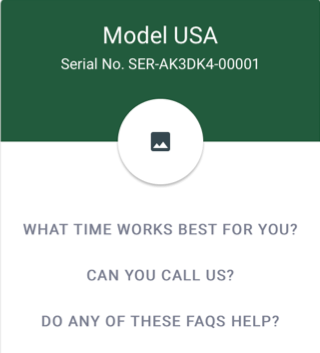 The Moment-sets screen is used to create and manage what customer support options are available to a customer for a specific equipment. A piece of equipment could have an Equipment Details moment, with which customers could view important information related to the equipment. A Call Number moment could then be used to prompt the customer to call a specific number if, for example, the issue is urgent. An Open URL moment could be used to direct the customer to another resource, such as an FAQ page for the equipment. 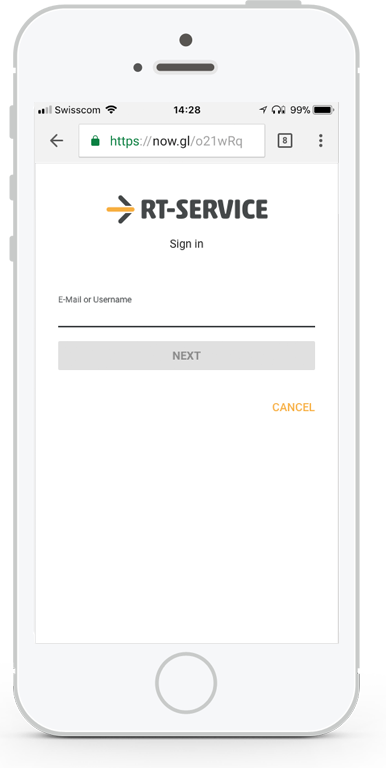 And a Request Service moment could be used to obtain important time, location, contact, and problem description information from the customer which would then be used in the response dispatched from the Workforce Management app. Note: If no moment/moment-set is created, QR-code pairings will use the default. 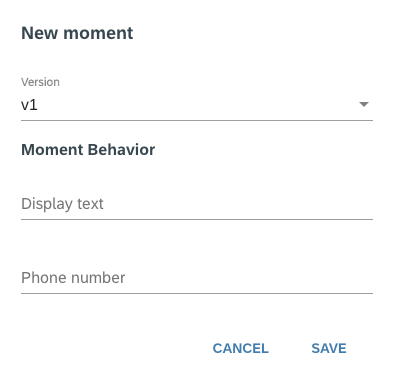 Moment-sets consist of one or more moments that are used for a specific item or equipment scenario (such as when a customer reports an issue or requests a service). Once complete, you can then associate the moment-set with an equipment record in the QR-Codes tab. Note:The default screen configuration can only be changed by contacting Coresystems Support. Display Text The name used for the moment in the moment-set (example: View Equipment Details). This moment type can be used to prompt customers to call a number. 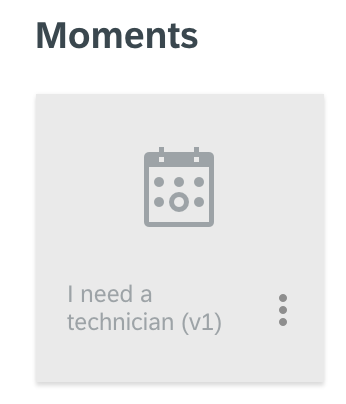 Display Text The name used for the moment in the moment-set (example: Urgent? Make Phone Call). Phone Number The phone number associated with the Call Number prompt. This moment type can be used to prompt customers to navigate to URL. Display Text The name used for the moment in the moment-set (example: View the FAQ page). Phone Number The URL associated with the prompt. 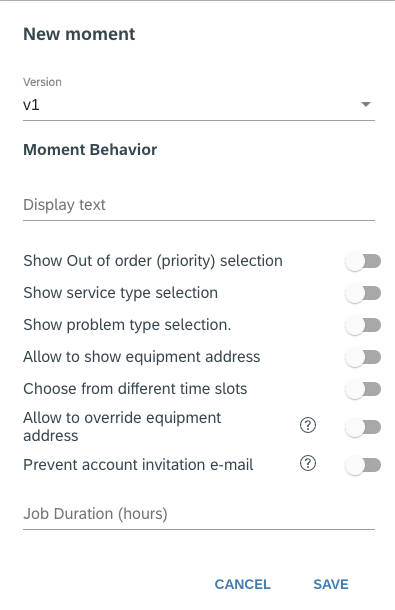 This moment type can be used to prompt users to enter problem description, time, location, and contact information used to fulfill the service request. Choose From Different Time Slots When enabled, the application will display time slots from which the customer can choose a preferred date and time. Time restrictions: there will be no overlap with exclusive reservations, absences or other activities assigned to the technician. This includes driving time. Mandatory skills: the technicians must have all the mandatory skills required by the activity in order to be assigned to the activity. Distance radius: The technician cannot travel more than X kilometers as defined in the person master data. WorkTime pattern: the active work time pattern is used. A default work time pattern can be configured in the Workforce Management app. Show Problem Type Selection When enabled, the application will display a list of problems from which the customer can choose the one most closely related to their current equipment issue. Number of Time Slots The number of time slots to be displayed to the customer. Job Duration (Hours) The default job duration (in hours) for the service. 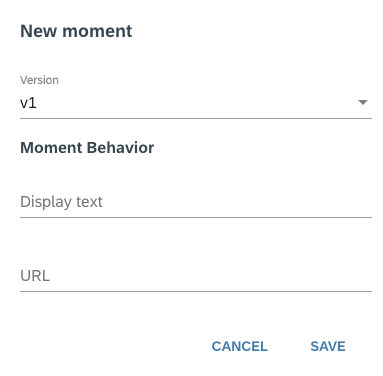 Display Text The name of the moment (example: Request a Service). Moment-sets can be associated with equipment or item records in the QR-Codes screen. These options would then be available to the customer when an equipment QR-code is scanned. 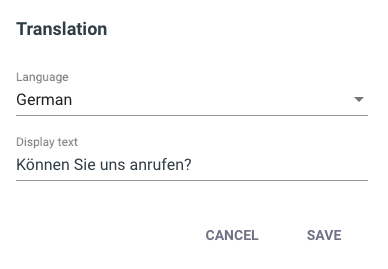 When you have completed entering the custom translation for the moment, select the Save option. 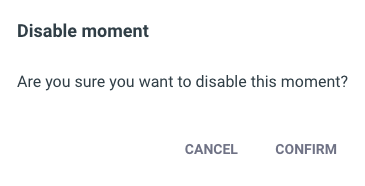 By selecting the Disable option the moment will be disabled for the given moment-set. Disabled moment-sets will be grayed out. A moment can be disabled for all instances where it occurs. When this option is selected, the moment will be disabled for ALL instances in which it occurs. 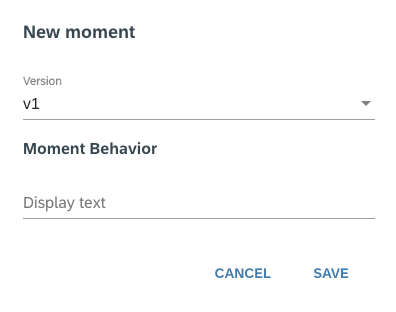 Additionally, moments can be login-protected in order to protect access to sensitive data (e.g. equipment details, warranty, etc.) or to utilize a specific Moment (e.g. Service Request, etc. ).